Amber caught our eye with her whimsical nature inspired jewelry pieces. 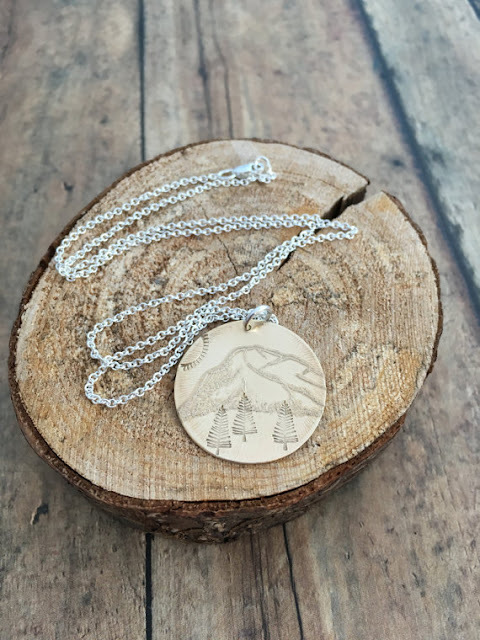 We are LOVING her etched metal mountain necklace with pine trees below. 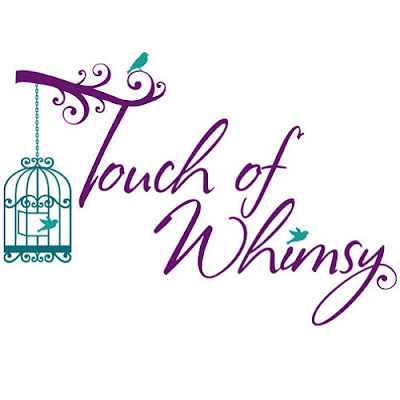 She definitely has a "Touch of Whimsy" Let's meet Amber. I started my career in beaded jewelry making over 15 year ago, and have had a constant passion for broadening my jewelry making skills. 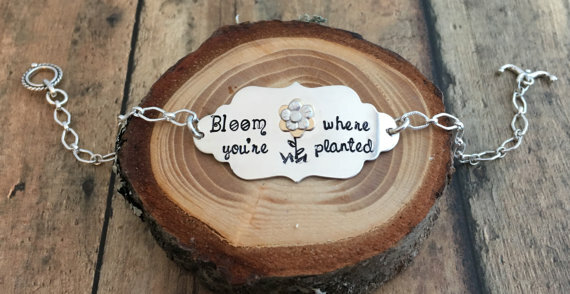 This desire to learn new techniques eventually led me to Beaducation.com where I learned metal stamping and metalwork, which is where I feel like I've really found my niche. It really all started one day because I had something in mind for a particular outfit, but wasn't able to find anything that matched. So I made my first necklace to match my blue and white outfit, and enjoyed it so much that I had to make a few more. My husband took one look at my creations and told me I should try selling them, which of course I did, and it just took off from there. Fast forward about 11 years, when I had a friend who asked if I could make a bracelet with her kids names on it. She didn't want the alphabet cube kind of letters, but wanted something different. I remembered that I had purchased a set of metal alphabet stamps, and told her I could make her one using my set of stamps. I watched some Beaducation videos to teach myself how to use the stamps properly and made the bracelet. She loved it and blogged about it and the rest is history, as they say. The creative process is a necessity for me, and I most enjoy coming up with new and one-of-a-kind pieces to add to my collection. 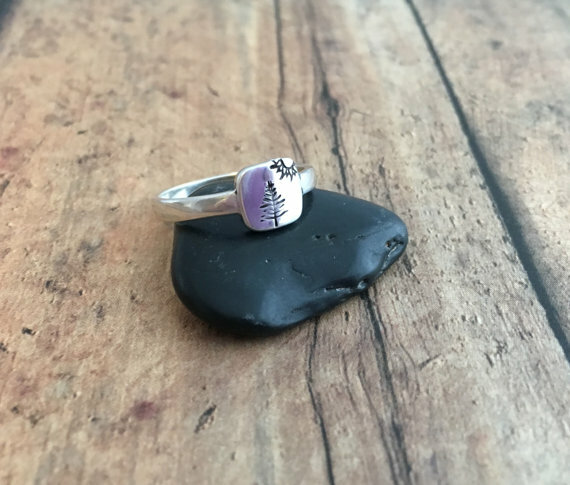 My jewelry is inspired by the beautiful Pacific Northwest nature surrounding me, and has a whimsical flair to it. he beautiful scenery inspires much of my work. I love bringing joy to people's lives with my little pieces of wearable art. My favorite kind of jewelry to make is any kind of nature themed metalwork. Two of my favorite pieces are my mountain necklaces. One was made using etching and metal stamping, and the other was made using a jeweler's saw and soldering. Some of my favorite metal design stamps are the pine trees, birds, branches and leaves. I use these frequently in my designs. My favorite font set is Beaducation's "Kismet" set in 2mm size. I find it to be the most popular and versatile since they are small enough to allow me to stamp longer phrases in a smaller area, or short words in tiny spaces. Plus, it's just a really cute font. 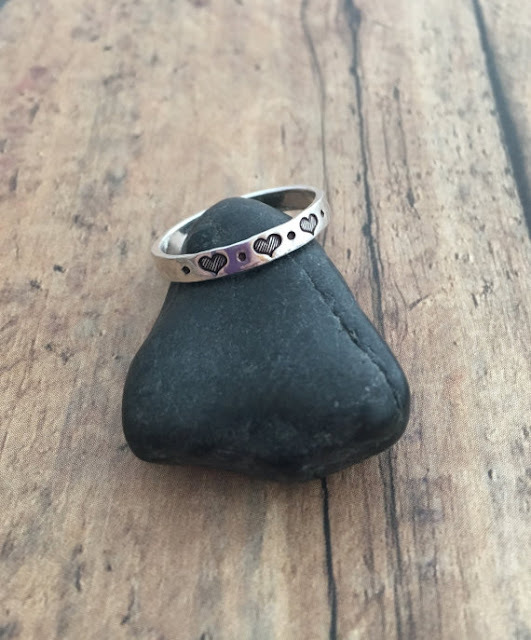 There are many things I love about metal stamping including being able to personalize pieces for my customers, to make them that much more special to the recipient. 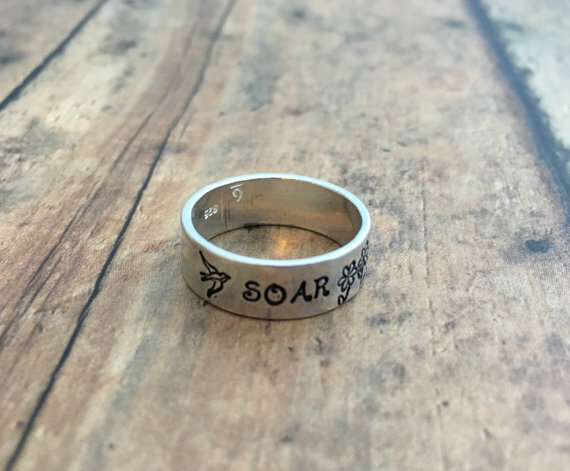 I love that I don't have to be good at drawing to be good at metal stamping, since the design stamps do the "drawing" for me. Also, it's just fun stamping out my frustrations on the metal. 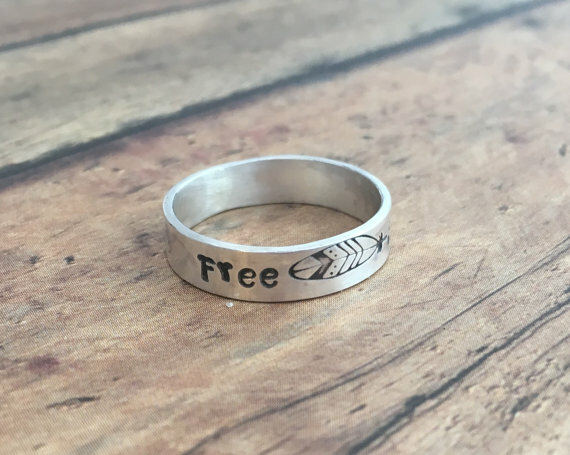 Metal stamping has basically become a necessity for me, and it is a very fun creative outlet. Amber, your jewelry is so much fun and I love how creative you are!